Australia Zoo is a good place to see the iconic wildlife of “Down Under,” such as pouched marsupials and scaly reptiles. What makes the zoo so unique is that the world-famous crocodile wrestler Steve Irwin called it home. Come and see his legacy: a thrilling Australian animal kingdom that also includes species from around the globe. Irwin’s parents started a local wildlife sanctuary in the 1970s. Young Steve showed amazing reptile-handling skills and later became world famous as the “Crocodile Hunter.” With his American wife Terri he expanded the reserve to include international species. The wildlife warrior was fatally wounded, not by a croc but by a stingray barb, in 2006. Terri now runs Australia Zoo and their kids Bindi and Robert appear in Crickey! magazine, a TV show and on merchandise. See the zoo’s Asian elephants swim and socialize at Elephantasia, an enclosure with statues, fountains and forests. At the nearby Tiger Temple, you can see endangered Sumatran and Bengal tigers swim underwater from the special viewing area. Next up is the African Savannah, where zebras, giraffes and rhinos share one arid enclosure. The zoo also houses predatory birds, deadly snakes, Komodo dragons, cheetahs and many more species. Take a tour of the on-site animal hospital or attend one of the handling and feeding demonstrations. There are also guided tours, including a Platinum Adventure, which includes behind-the-scenes animal encounters. These activities all have an extra fee. Australia Zoo is on Steve Irwin Way in Beerwah, about 50 miles (80 kilometers) north of Brisbane. Get there by car, train or bus. Or, there’s the option to buy a ticket that includes your admission plus transport to and from the zoo on special coach. The zoo is open daily except major public holidays. You pay extra for personal wildlife encounters, but proceeds go towards animal conservation. If you'd like more activities, peruse our Brisbane things to do page. Cuddle a koala, hand-feed kangaroos and see other iconic Australian wildlife only a short distance from central Brisbane. Stroll through this inner-city oasis with lake, subtropical flowers, native plants, public art and water features. Shop for books or fashion, grab a bite to eat in a restaurant or bar and watch street performers entertain the crowds along Brisbane’s central shopping district. Rent an SUV and set up camp on a near-deserted beach, walk coastal tracks to spot large marine creatures and explore World War II and Aboriginal relics. See artifacts, photographs and artworks from Brisbane’s past and present, tour the rooms of the City Hall and head up the old clock tower for spectacular views. This free, landscaped park offers walks through a lush tropical rainforest and bonsai gardens, and past a manmade lagoon with water dragons and turtles. Grab lunch, enjoy a drink, have dinner, or see a show or exhibit at one of Brisbane’s most iconic arts venues, with a scenic riverfront terrace. Admire Aboriginal paintings, colonial-era landscapes and works from across Europe and America at Queensland’s leading, and free, traditional art gallery. See a Broadway musical, enjoy a world-class opera or ballet performance or listen to a symphony at this state-of-the-art Brisbane venue with bars and restaurant. This free museum is one of Australia’s leading contemporary art galleries and a great place to visit with children. 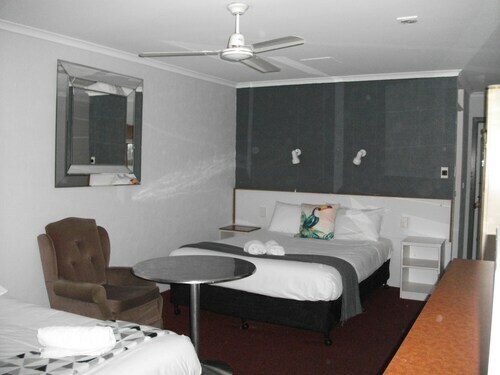 Situated in Landsborough, this motel is 1.2 mi (2 km) from Landsborough Museum and within 9 mi (15 km) of Aussie World and Parrots in Paradise. Art on Cairncross and Mount Ngungun are also within 9 mi (15 km). Landsborough Station is 24 minutes by foot. 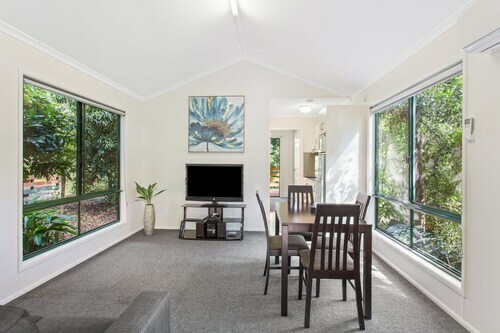 Situated in Beerwah, this apartment building is within 9 mi (15 km) of Landsborough Museum, Glasshouse Mountains National Park, and Parrots in Paradise. Mount Ngungun and Art on Cairncross are also within 9 mi (15 km). Beerwah Station is 9 minutes by foot. 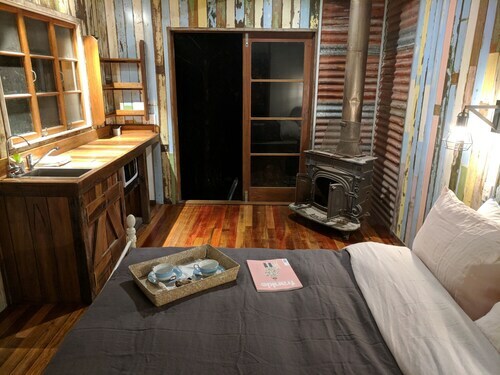 Situated in Landsborough, this cabin is 0.4 mi (0.6 km) from Landsborough Museum and within 9 mi (15 km) of Aussie World and Art on Cairncross. Mary Cairncross Scenic Reserve and Parrots in Paradise are also within 9 mi (15 km). Landsborough Station is 8 minutes by foot. 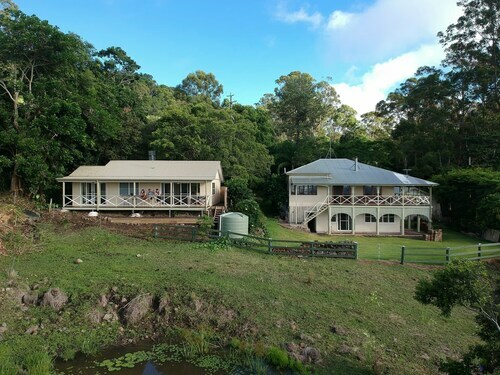 Situated in Mount Mellum, this bed & breakfast is within 6 mi (10 km) of Landsborough Museum, Art on Cairncross, and Mary Cairncross Scenic Reserve. 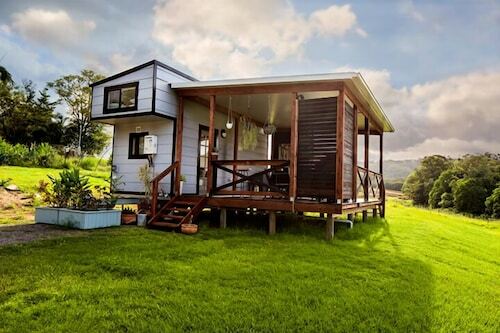 Maleny Dairies and Maleny Botanic Gardens are also within 9 mi (15 km). Situated in Mount Mellum, this apartment building is 2.7 mi (4.3 km) from Landsborough Museum and within 6 mi (10 km) of Art on Cairncross and Mary Cairncross Scenic Reserve. Maleny Dairies and Maleny Botanic Gardens are also within 9 mi (15 km). 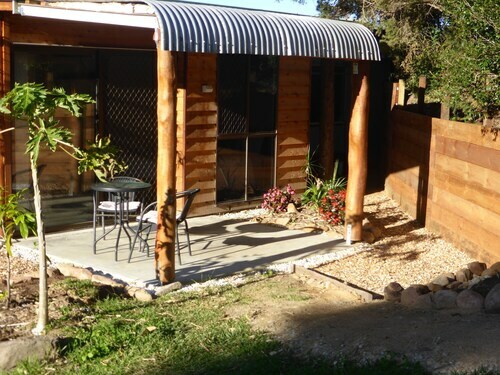 Situated in Glass House Mountains, this golf motel is 2 mi (3.3 km) from Parrots in Paradise and 2.7 mi (4.4 km) from Mount Ngungun. Glasshouse Mountains National Park and Landsborough Museum are also within 6 mi (10 km). Glasshouse Mountains Station is 24 minutes by foot. 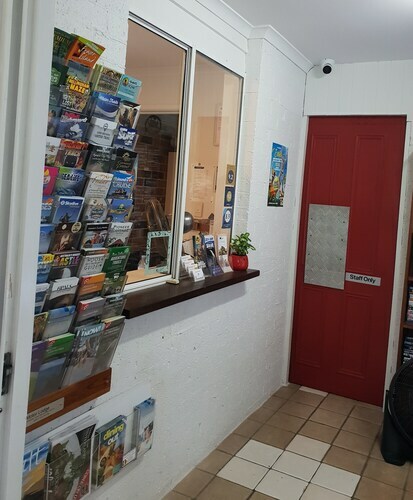 Situated near the airport, this bed & breakfast is within 9 mi (15 km) of Landsborough Museum, Glasshouse Mountains National Park, and Mount Ngungun. Parrots in Paradise and Art on Cairncross are also within 12 mi (20 km). 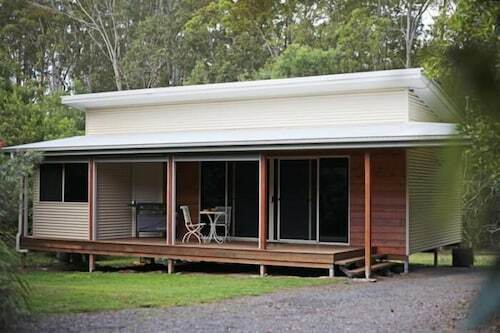 Situated in Glass House Mountains, this cabin is 1 mi (1.5 km) from Mount Ngungun and 2.5 mi (4 km) from Glasshouse Mountains National Park. Parrots in Paradise is 4.6 mi (7.3 km) away.